Since doing Pic of the Week, I've come across and have shared some wonderful and talented artists that I never knew existed. Their stunning works of art has both awed and inspired me. 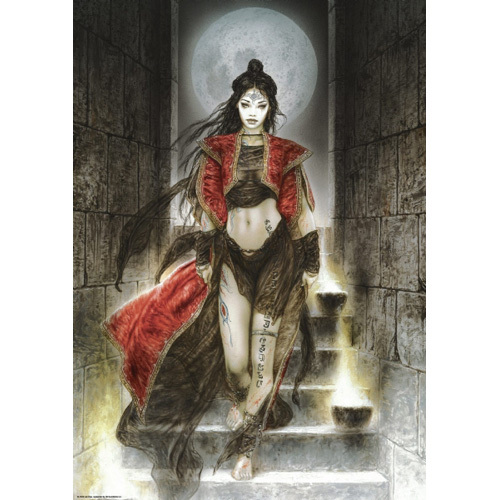 But after everyone I've ever listed I still hold Luis Royo at the top of my list. I absolutely love his work - always have - and even though some of his pieces are a little on the 'risque' side, what he creates is beautiful, mysterious, dark and entriguing. It only takes a dash of colour to bring the darkness out.